We are an acupuncture clinic that also provides Chinese Herb treatment based on the theory of Traditional Chinese Medicine. 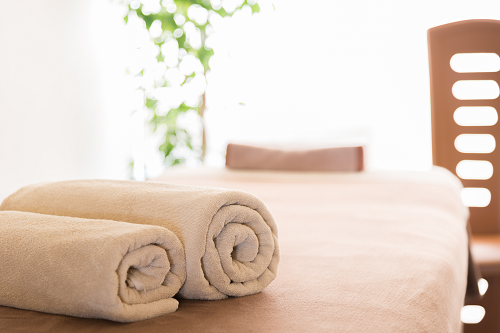 Our treatment style provides excellent results with minimal pain. As experts in physical and mental health as well as beauty, everyday we diligently employ our knowledge and skills to help our patients look and feel better. Our needle technic is very gentle; even sensitive people often find it very confortable. Our goal in treatment is to enhance our patients’ own self-healing power. We do this by balancing energy flows using needle techniques as pain free as possible. We have a Chinese Herb pharmacy in our clinic. Our Doctor of Traditional Chinese Medicine is licensed by China to provide Chinese Herb consultation services to the patients. It is highly recommended that patients receive both Acupuncture treatment and Chinese Herbs as part of the treatment process. Also, if you suffer from any chronic symptoms, Chinese herbal treatment may prove very helpful. Please feel free to request an herbal treatment consultation. 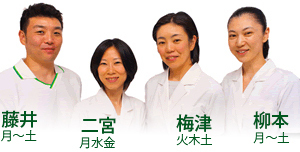 Each member of our staff is licensed by Japan as an Acupuncturist and Massage Therapist and registered in the Tokyo healthcare center. Your health insurance may reimburse you for a portion of the acupuncture treatment fee, so please be sure to keep your receipt, as we cannot reissue the receipt should you loose it. Please note that we do not accept insurance. Please call us at 03-5996-8302. Be note that if you are late for an appointment, your treatment time will be reduced accordingly. We will assess your condition and choose the best acupuncturist for you in the available time slot. We may reject your appointment should you be late frequently or cancel repeatedly on the day treatment is scheduled. 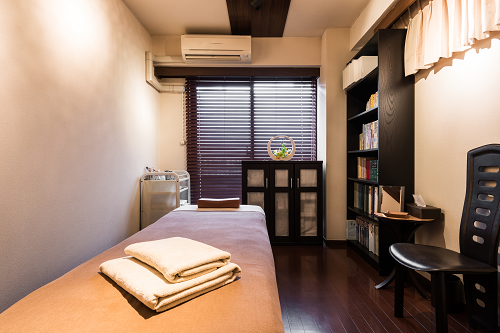 Our gentle and comfortable acupuncture treatment will bring great results to you. You may feel a little bit sleepy after the treatment; this is a normal reaction often seen after acupuncture relaxes tight muscles. Should this happen, please stay as still as possible. Do not take a bath or a shower right after the treatment. 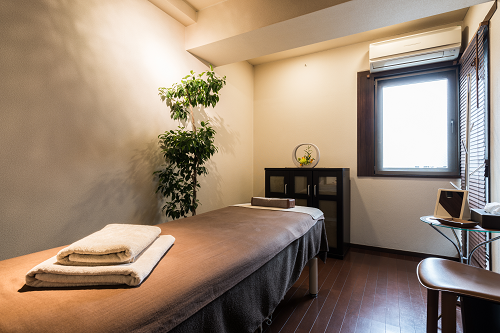 If you feel dull after the treatment, please do not take a bath or shower too long that night. Please avoid excessive alcohol and exercise. 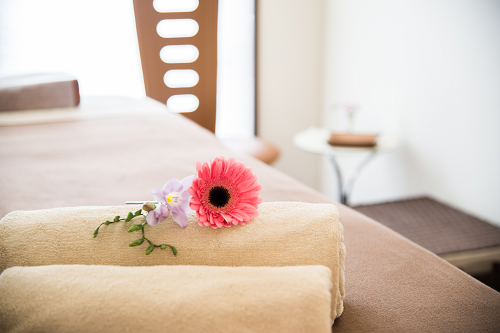 Our clinic is a bright, clean, healthy and safe environment. Cleanliness and hygiene are of utmost importance to us. Therefore, we use only new, disposable needles fresh from the package. On your treatment day, please do not wear perfume or cologne with a strong scent, as other patients in the clinic may be very sensitive to scent. Also, in the Oriental Medicine diagnosis process, scent is an important factor to assess. Let us know this is your first visit. Let us know your symptoms, requests or concerns (if any) so that we can select the best acupuncturist for you. 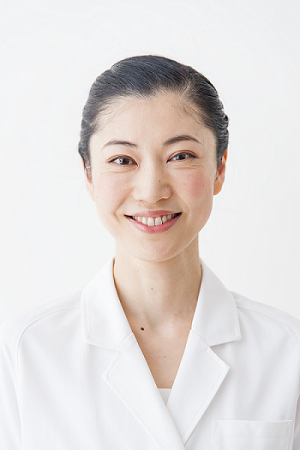 ※If you must to cancel your appointment, please contact us before your appointment day. A cancelation fee will charged should you fail to do so. Also, if you cancel frequently or skip an appointment without providing notice, we may refuse to book future appointments for you. Turn left at the exit of Mejiro Station (there is only one exit). You will see the our sign in front of the Mejiro IT Bld. on your right side, just before the T junction. 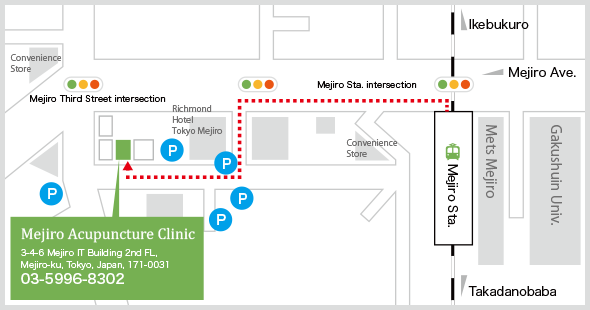 You can park your car in the coin-parking lot near our clinic. Copyright © 目白鍼灸＆目白漢方日記 All Rights Reserved.